I am a strong believer in education, free speech, and open markets. Which is why I’m a strong believer in the Australia’s National Broadband Network (NBN). It is a visionary project which could change Australia’s future. It will give Australia its best chance to embrace the future digital age and become a bigger player in that field. In my daily work, meeting people to fix their various computer problems, I notice one consistent attitude: They can’t wait for a faster internet. Most people regard a faster internet as more important than other issues, as it has a more immediate impact on their lives. Which is why I am very disappointed by the Liberal party’s “alternative”, which is slower, slightly cheaper in the short term, but massively more expensive in the long term. 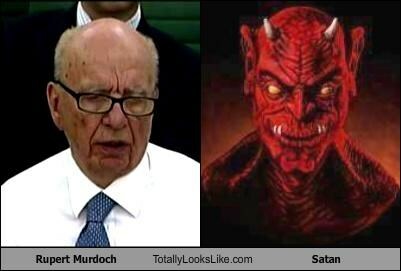 And recently, there has been another twist: Murdoch has decided that a fast internet for Australia will be a problem for his profitable Foxtel network, as it will allow people to get movies and content without being locked into a foxtel contract. 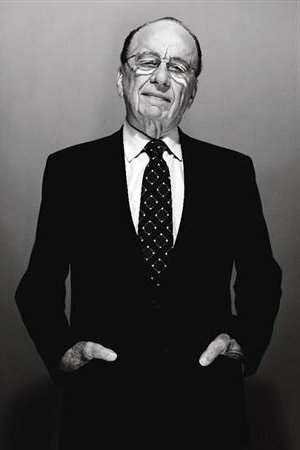 Murdoch has decided to try to hobble Australia’s digital future by aggressively campaigning against the proponents of the NBN: the Labour party. 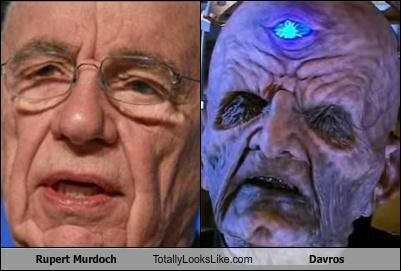 He has thrown out any semblance of unbiased political reporting, and is going all out against Kevin Rudd. Up until now, I was thinking: oh, it looks like the Liberal party might win with a small majority. But now, I am really hoping the Liberals do not win. A Liberal win will hobble Australia’s chance for a better digital future where we can compete with the digital powerhouses of USA and Europe. Although I haven’t “upgraded” to windows 8 just yet, I have encountered it many times in the real world, with real people using it. The classic desktop has been hobbled in such a way, that it keeps trying to force people into the “metro” system. Now, if the classic desktop was functionally identical to Windows 7 (ie with the start button, and without flicking people into “metro”), then it wouldn’t matter that metro was unpolished… some people with touch screens would still go there, and everyone else would avoid it until it improved, and was worth using. On the other hand, given how the current classic desktop works, most people probably wouldn’t mind, if the new “metro” system was an awesome feat of functionality and useability (ie like MacOS or IOS, or even Android!). So, it seems that, with Windows 8, Microsoft have split windows into 2 parts, and have tried to accelerate the move to “metro” by damaging the classic desktop. My opinion, is that MS have pushed a bit too hard, and they have also underestimated how attached many people are to the start button, and the classic desktop system. And this is without even considering how the classic desktop is still a wonderfully functional and productive environment. Microsoft will publicly say that Windows 8 is the best ever… but behind the scenes, they already know that they have another “Vista” on their hands. So I wouldn’t be surprised if MS is furiously (and urgently) developing Windows 9… mostly in an effort to fix the “problem”. If common sense prevails, they will probably re-introduce the start button, and minimise the automatic jumps to metro… this would be the quickest and easiest solution, which would only require a Service Pack update to fix. However, if MS is unable to see the obvious, they they will probably try to tinker with metro, in an effort to make it all things to all people (and fail). Given the rise in smartphones and tablets over the last few years, I believe that MS have taken a wrong turn, by trying to unify their OS on phones, tablets, and desktops. Since the phone OS wasn’t working well enough, bringing it to the desktop is just asking for trouble. MS needs to focus on true functionality, so that computers are properly useable, rather than holding on to the idea that you get the most profit by upgrading windows every 2 years. Back in January 2012, I got an email saying that linkedin is now implementing advertising (ie something similar to google and facebook advertising). They also offered a free $50 “promotion”… OK, its less than the $100 that google offers, but it should be good to see what kind of return it gives. Wow, I could be looking at, at least, $10 per day, per ad campaign. I could be looking at $300 per month. I’d need to be selling some high profit-margin goods or services to justify advertising in linkedIn. As a comparison, Google have a minimum cost per click of $0.01 (yep, 1 cent), and the max daily budget also starts at $0.01. You you could limit your google advertising to just 1 cent per day, and then alter it if I want to get more views, traffic and clicks. And then Google also has a huge audience for showing these ads. Facebook is similar: minimum Cost Per Click is $0.01, but the max daily budget is at least $1.00 (which I personally think is too high for some situations). But then again, facebook also has a huge audience for showing these ads. So, I just try out the campaign, and as usual, I forget to check until about 2 weeks later (maybe this is what linkedin are planning: that people will forget). Luckily it only cost me an extra $10 or $15, as I sometimes didn’t get to spend the full $10 per day. Anyway, I switch off the campaign, and promptly forget about the LinkedIn advertising scam. At the start of September 2012, I get an email from linkedIn, saying: “Your LinkedIn Ads campaign has been feeling a bit lonely recently. Come back to LinkedIn Ads and reach out to your customers!”. They offer another $50 bonus, which expires on 19 Sept. I figure: I’ll take another look. I also add a campaign for my name-brand mobile phone look-alikes (iphone, Galaxy, HTC One X, etc). Within 1 hour of activating my campaign, I get 7 clicks on my ads ($14 out of $50 gone already! )… and 29,000 impressions… ie my ads get shown 29,000 times! But over the next 5 days, I get no more clicks, and the number of impressions drops to about 200 – 500 per day… It all looks a bit suspicious. And I also find that the amount of information about my advertising performance, stats, etc is scant…I just cannot figure out why I got so many impressions, and then a sudden drop. When dealing with larger companies, it pays to be suspicious, and assume the cards are always in their favour. So I suspended all my linkedin ads (again)… even though I still have a theoretical $36 in my account… I just can’t be sure about that. I’ll think I’ll just forget this whole linkedin advertising scam (again). So here I am, struggling to make a living at repairing computers, so I decide to diversify into selling computers, smartphones, and Android tablets via No Nonsense Computers online. With the tablets and smart phones, I research various suppliers, and obviously I cannot compete unless I buy from China. I then start to import small amounts of good, to check for quality problems, and gradually increase my purchases. The last shipment I ordered cost me $1500 (plus $180 in freight cost, plus 3.3% ($50) for paying via paypal). Since I’m ordering something thats over $1000, customs jumps in and hits me with $241 for Duty and GST. So, I’m now paying an extra $471 (31%) extra for the goods!!! Now, who am I competing against? Lets see: If an average person buys the exact same stuff from ebay, direct from china, they pay no duty (the goods are less than $300 each), no GST, and often the shipping costs are reduced due to economies of scale by the seller in china. I’m left with attempting drop-shipping, so that each individual item is shipped directly to the customer, and I avoid paying 14% in GST and duty costs… I also cannot check the goods for quality and cannot do any value-adding (like install software, and extra configuration). So, does this sound like the Australian Government cares about encouraging small businesses? Not if the business needs to start by importing goods for resale, and particularly when people can buypass government taxes by buying direct from overseas. This will encourage small businesses to start and then establish a local market before then they can start paying duty and GST. If the government was serious about encouraging small businesses, then they need to change how they implement import duty and taxes. Here in Australia, the processes of getting a divorce and sorting out the split of property, is supposed to be getting easier (for those of us who don’t want (or cannot afford) lawyer fees. Having just ended a 2+ year process of getting a divorce & a consent order (property settlement), I can see that the scales are still weighted in favor of guiding people away from a DIY solution. I persisted, and with a fair amount of digging, managed to do it on a minimal budget. I’m not a lawyer, so don’t blame me if what worked in my specific situation doesn’t work for you. This only works if both parties are in agreement on the split. If there is no agreement, then lawyers are the only way to go (unfortunately). In my case, my ex did start getting lawyers involved, assuming I would just agree to whatever they proposed. After strongly disagreeing with a very unfair (for me) series of proposals, she eventually realised that the best results for everyone was to actually talk to me, and come to a mutually agreeable solution. By that stage, I had taken a gamble and actually filed for divorce in Brisbane. Once someone starts divorce proceedings, the other party cannot normally stop the divorce. The gamble was: once the divorce was final, there was then a 12 month time limit on completing the consent order. If she delayed, then someone was going to have a major inconvenience (eg she could be forced to pay half the mortgage, which I was now paying… but then she could also move back in and claim half the living area… or she could force a sale of the house, to resolve any outstanding equity in the house). Getting a divorce is actually quite easy, but it should be done after a consent order. In the end we decided that I would get the house (and a considerable mortgage), while she would get a large chunk of my superannuation. They say you can do it yourself, but then you get strongly pushed to get legal advice at every turn. I ignored the “suggestions” to get legal advice… I can be stubborn sometimes. But I also got free (but limited) advice from real lawyers at community centres on many occasions… they won’t do anything for you, but they can point you in the right direction. In the end we kept our son out of the consent order (it removed many complications), and so we just split the household effects, the 2 cars, the super, and the house itself. The wording of the actual consent order was mostly straightforward (I can write legal-sounding stuff without too much trouble). But splitting the superannuation ended up being the biggest problem. It turns out you must give the super funds involved, 30 days notice of how you are going to split the super, and if the wording of the split is not “correct” (ie it must not make sense to a normal human), then they (in this case, Australian Super) will reject it. You must get the super fund to agree in writing that they do not object to the split (and send them a “form 6” so that they can legally disclose how much money is in the super fund), before you file the consent order to a magistrate. That the applicant will retain ownership, all interest and liabilities in the business “XYZ Widgets” and the respondent relinquishes any claims in relation thereto. That the applicant will retain the family home at 2 Divorce Court, Deception Cove, VIC 7654, (the Home), and will also be fully and solely responsible for any mortgages, debts and Lines Of Credit, related to the Home. That the respondent fully relinquishes the family home at 2 Divorce Court, Deception Cove, VIC 7654, (the Home) and all associated liabilities, and is obliged to sign any relevant documents relating to relinquishing ownership and refinancing of the Home, within 30 days of receiving said documents. If a signature cannot be obtained within 30 days, then the court will be authorised to sign on behalf of the respondent. That the respondent will retain the red 1965 Hyundai Getz 5 door hatch. That the applicant will retain the white 1966 Hyundai Getz 3 door hatch. That the respondent will retain all furniture, appliances, and any other goods that have already been removed from the family home at 2 Divorce Court, Deception Cove, VIC 7654. That the applicant will retain all furniture, appliances, and any other goods that are currently at the family home at 2 Divorce Court, Deception Cove, VIC 7654. That in accordance with section 90MT(1) ( b ) of the Family Law Act 1975, (the Act), whenever a splittable payment within the meaning of section 90ME of the Act becomes payable to or on behalf of Basil Bushy from his interest in his Australian Super Superannuation account, Sandy Beach Bushy is entitled to be paid (by the Trustee of Australian Super) the amount calculated in accordance with Part 6 of the Family Law (Superannuation) Regulations 2001, using a base amount of $25,000 and there is a corresponding reduction in the entitlement that Basil Bushy would have had but for these Orders. The Superannuation Fund responsible for the split of funds will be Australian Super. The applicant currently has funds with Australian Super (account number 123456789). The respondent currently has funds with Australian Super (account number 987654321). The operative time for order 8 is: 4 business days after the service of the final orders on the trustee. Notice the weird wording of part 8 (which just means please transfer $25,000 from Basils super account, to the super account of Sandy Beach Bushy). Also note that in part 3: the party thats giving up ownership of the house cannot stall or delay the transfer of house ownership by refusing to sign… as the court can now sign on behalf of the recalcitrant party. I’ve recently started using the weaver theme for WordPress. However, I did find that using google to find the correct snippet of CSS code really didn’t work well, since most people go straight to altering the CSS stylesheet. But I soon found out how to “uncover” the correct CSS on my own. This made the menu font just the right size I wanted. The drop down menu was a fixed width, so the sub menu words were wrapping around, causing an ugly mis-alignment of the gradient background. The stylesheet is reasonable well documented, so I went to the menu section of the stylesheet, looking for something about “width” and a size of about 100 to 300 px (pixels)… which is what I guessed was the width of existing sub menu. I was close: that altered the menu width, and the background shadow, but the gradient background hadn’t increased in width. However, some alterations are more difficult than others. Ultimately, more comprehensive documentation (or even more meaningful variable names), would make this process a lot easier. I mean, why call sub menu widths: “access”, why not just call it “sub-menu-width”?